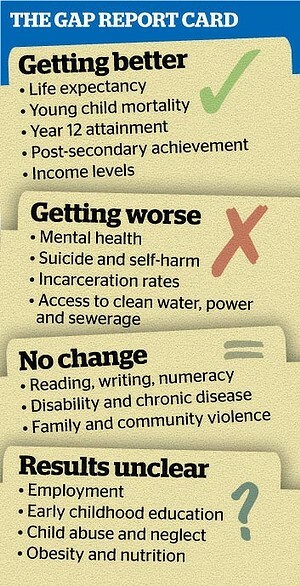 Overcoming Indigenous Disadvantage: Key Indicators 2014 The Overcoming Indigenous Disadvantage report measures the wellbeing of Australia’s Indigenous peoples. The report provides information about outcomes across a range of strategic areas such as early child development, education and training, healthy lives, economic participation, home environment, and safe and supportive communities. 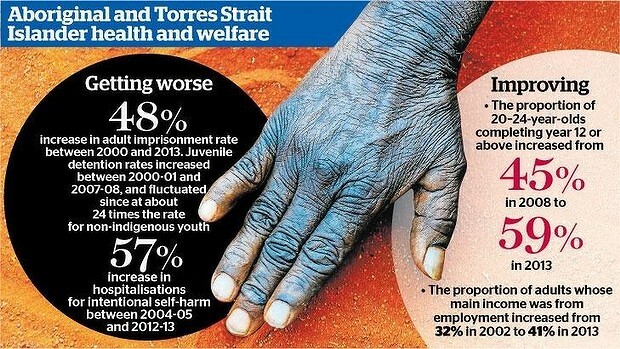 The report examines whether policies and programs are achieving positive outcomes for Indigenous Australians. Please note: Aboriginal and Torres Strait Islander people are advised that this website may contain images of deceased people. Categories: Indigenous Suicide Prevention | Permalink.